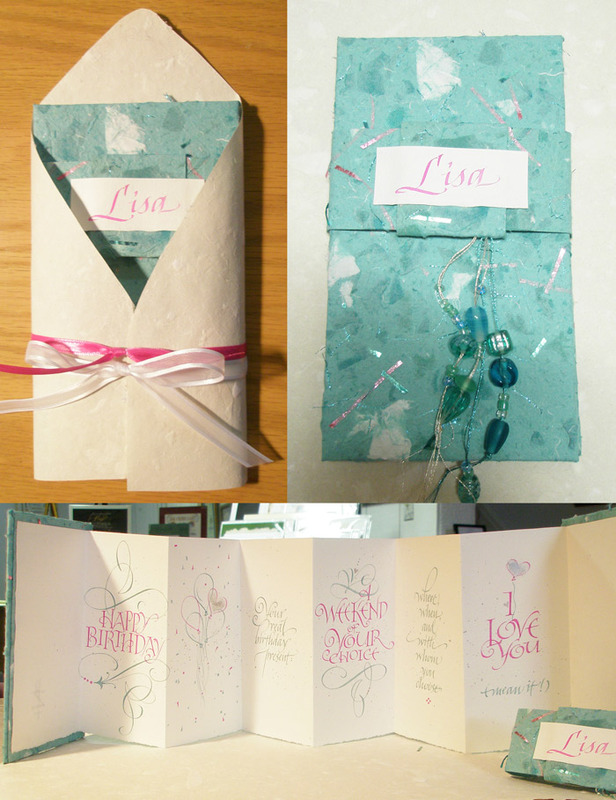 Teal handmade paper cover. Belly band with bead ornamentation. One of a kind.